Virtuoso Cuban tres guitar player Renesito Avich plays Cuban Son and other Cuban classics with elegance, passion and precision. Renesito performs with percussion accompaniment. 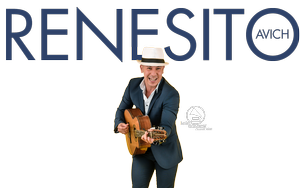 2014 CubaDisco Nomination for his latest CD, "Mananitas de Montañas"